It's our hope that we can help everyone become a Furious Reader. We're not always able to accomplish this on our own, so we support actively several different charitable organizations who have been fundamental in helping fight illiteracy both on a local and global level. Started by Margaret McNamara, a former school teacher, RIF's mission is to motivate young children to read by working with them, their parents, and community members. RIF is dedicated to their vision of a more literate America by providing children with access to books. Some of us at Read Furiously benefited personally from RIF's program as children and we hope now to contribute to their mission and help others become Furious Readers. [as posted on the Room to Read website] One of the largest reaching literacy programs in the world, Room to Read focuses both on international literacy issues and gender equality in education. They work with local governments work in collaboration with communities and local governments across Asia and Africa to develop literacy skills and a habit of reading among primary school children, and support girls to complete secondary school with the life skills they’ll need to succeed in school and beyond. 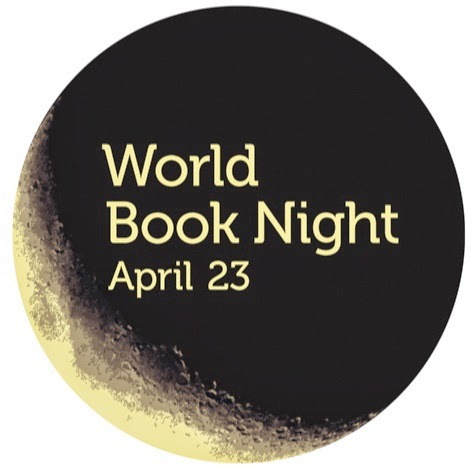 For the past two years, members of the Read Furious team have volunteered as "givers" for World Book Night, an annual celebration of reading and books which takes place on 23 April. It sees passionate volunteers give hundreds of thousands of books away in their communities to share their love of reading with people who don’t read for pleasure or own books. There's always been a deep connection between writers and cats, from those who found inspiration in them to those who were simply cat people at heart. Given this undeniable bond, it seemed only fitting that Read Furiously partner with Tabby's Place, sponsoring Rose (pictured above). Brought into this shelter with spinal damage, Rose lost her tail as a kitten and requires special medical attention as a result. With Read Furiously's sponsorship, Rose is able receive a special diet and medication that helps keep her a happy and energetic little girl. 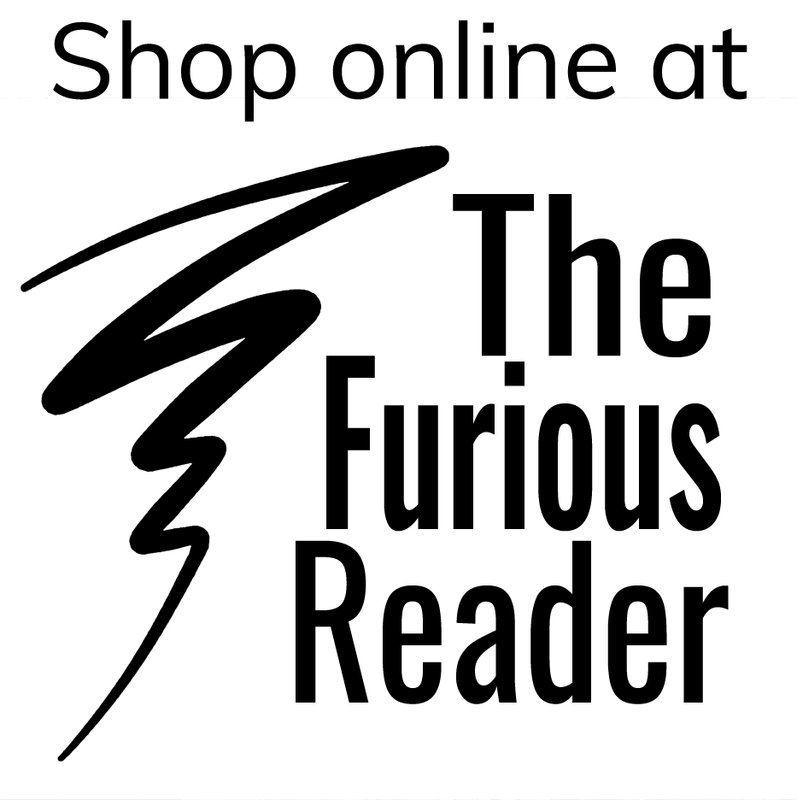 Declare yourself a Furious Reader while at the same time supporting our efforts. Proceeds from the sale of the I, Read Furiously bracelets go to help charities like Rooms to Read and Reading is Fundamental. 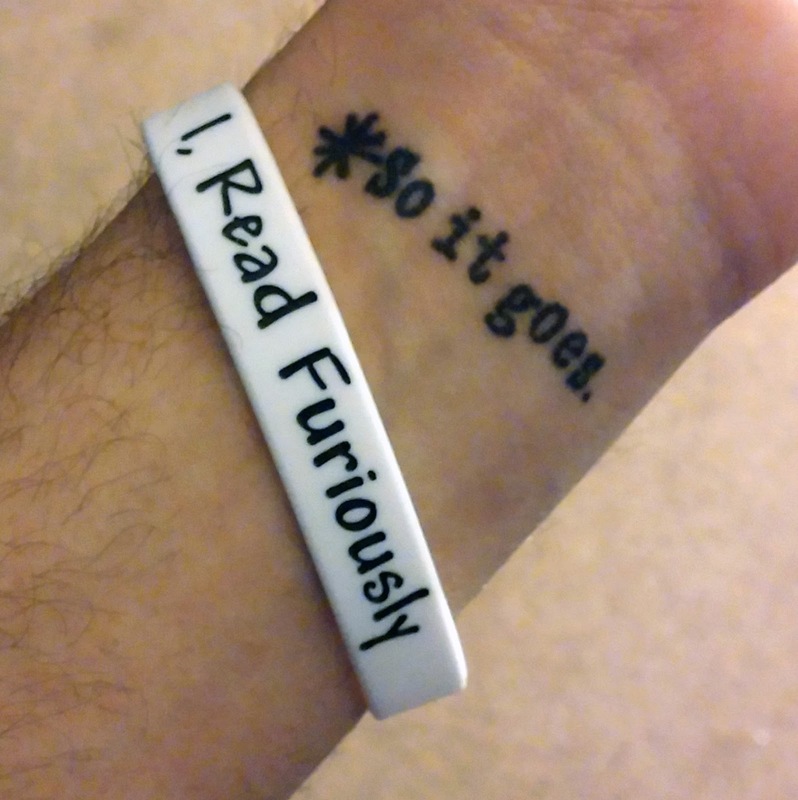 They're available now for just $1.99 (shipping is included, the sweet Kurt Vonnegut tattoo is not). Because we're always looking for new and innovative ways we can give back here at the Read Furiously, we've installed the Tab for a Cause plugin on all our office computers. 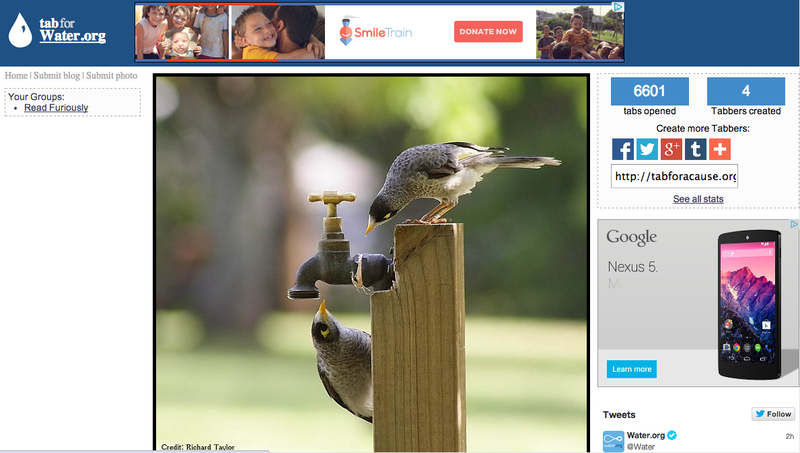 It's a simple tool that allows us to earn money for charity simply by opening up a new tab in our browser. So each day as we go about inspiring the world to read furiously, we're also helping to earn money for other organizations to do the same. And Tab for a Cause extends far beyond literacy, supporting clean water organizations, human rights advocacy, the environment, and many other worthwhile charities. You can even sign up to be a part of the Read Furiously Tabbers and join us as we try to do our part to make the world a better place.